Did you wake up today and find something funky on your tongue? If it appears coated with a white film or white patches, don’t worry. It’s usually harmless, and it's not difficult to get rid of a white-coated tongue. A white coating typically occurs on the tongue when the bumps, known as papillae, on the surface of your tongue become inflamed. These swollen, finger-like projections trap dead cells, food debris and bacteria between them, making your tongue appear white and sometimes causing bad breath and a bitter taste in your mouth. While the condition is usually benign and tends to go away on its own with regular brushing and tongue cleaning, sometimes it can draw attention to a health concern that is causing inflammation of the papillae. Some practices can be adapted in order to avoid the pesky bouts of a white-coated tongue. Here are a few preventive measures that you can take. Brush your teeth and clean your tongue twice every day. Use a tongue scraper or a toothbrush with a tongue cleaner to scrape your tongue regularly. Always rinse it clean between each scraping. Use an antiseptic mouthwash to rinse your mouth after every meal. This will help prevent oral thrush, which causes a white tongue. Avoid eating sugary foods and dairy products when you have a white tongue. Drink lots of water to prevent dehydration. It also helps to rinse your mouth frequently and prevent germs from building up. Eat fresh fruits and vegetables. The crunchy fiber-rich foods help clean your tongue and also your gut. While nothing is threatening about a white tongue, you can easily treat the condition using simple home remedies. Here are 5 simple remedies to help you get rid of a white-coated tongue. Salt is the best remedy that you can use to treat a white tongue. The coarse granules easily scrape the surface of the tongue, while also helping flush out bacteria and other toxins that may be causing the white film. Salt is also antiseptic in nature, so using salt water regularly as a mouth rinse can keep oral troubles at bay. Use the solution as a mouth rinse. Gargle and swish it around in your mouth for 1 minute before you spit it out. 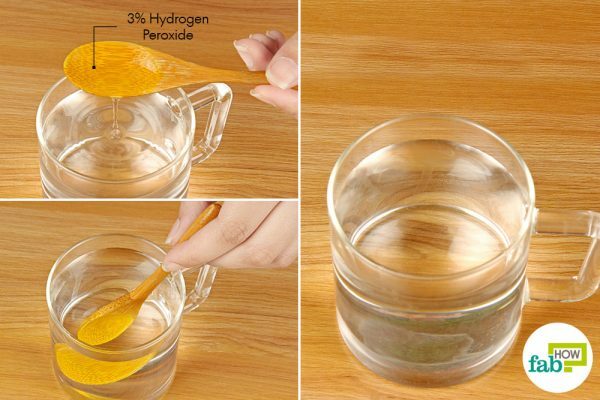 Alternatively, you can dab your wet toothbrush in 1 teaspoon of salt and use it to brush your tongue. Then, rinse your mouth with warm water. It will give you immediate results. Continue to use it twice daily for 2 to 3 days. Oil pulling is another popular remedy to get rid of oral troubles, including a white tongue. It helps remove yeast that causes oral thrush, which could be the reason behind the white coating on the tongue. It’s also quite effective in treating gum disease and removing plaque and tartar buildup from your teeth. When used on a daily basis, oil pulling also helps maintain good oral hygiene. 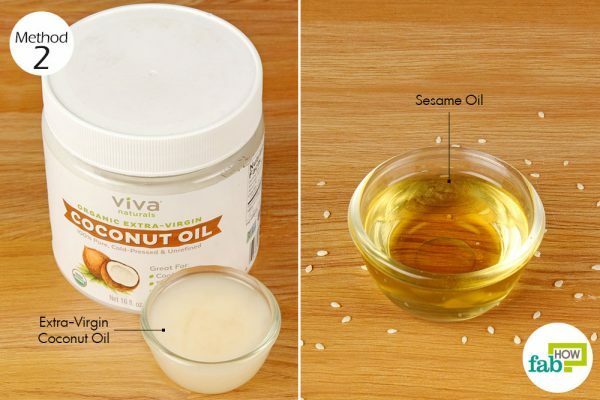 Use either extra-virgin coconut oil or sesame oil for oil pulling. In the morning, before brushing your teeth or eating, put 1 tablespoon of extra-virgin coconut oil or sesame oil in your mouth. Swish it around for 15 minutes or until the oil turns frothy. Spit it out in the trash can. Don’t swallow it, as it is full of toxins. Don’t spit it in the sink, as it can eventually clog the drain. Rinse your mouth with warm water, then brush your teeth as you normally do. You should get immediate results and see a pinker tongue. Continue doing it each morning for 3 or 4 days to get rid of any infection causing your white tongue. If your white tongue is caused by a Candida fungus overgrowth (oral thrush) or other pathogens, upping the good bacteria in your mouth can help treat the condition. 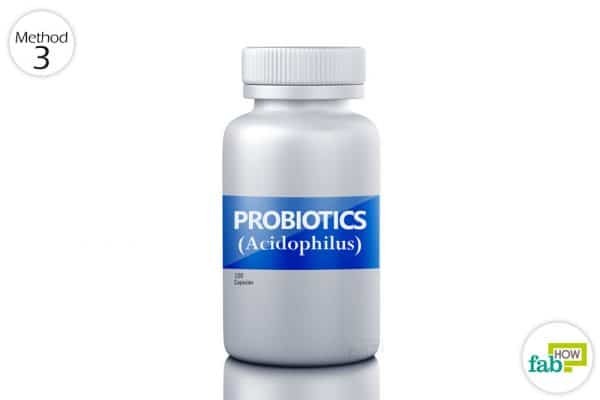 Acidophilus cultures contain good bacteria that can outnumber the troublesome bacteria and fungi and restore oral flora. Put it in your mouth and swish it around for 1 minute before gulping it down. You need not drink water afterward. You should see an improvement after the very first night. 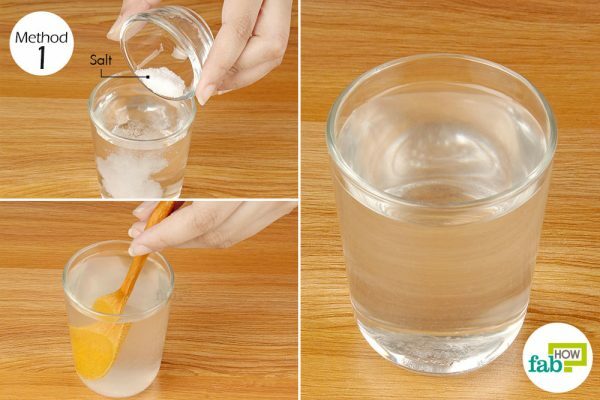 Continue doing it daily for 1 week to get rid of any infection causing your white tongue. You can also take a probiotic supplement twice daily for 1 month to improve the flora of your gut and increase your body’s resistance to infections. Consult your doctor before starting a supplement regimen. 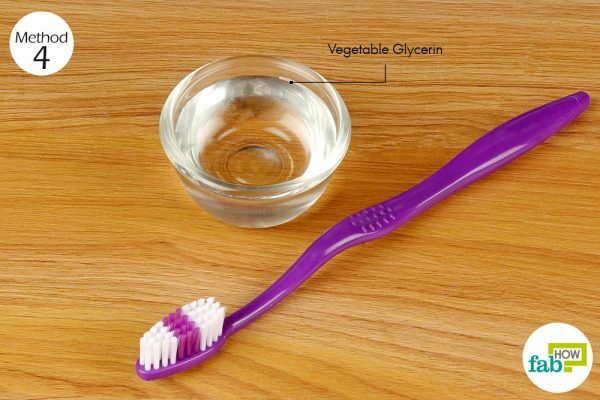 If your tongue is turning white due to dry mouth, vegetable glycerin can be an easy and inexpensive remedy. It acts as a humectant and draws in moisture to your dry mouth, thus soothing your tongue and alleviating the root cause. Glycerin also helps banish bad breath. Use it twice every day. You will get relief from dry mouth instantly. 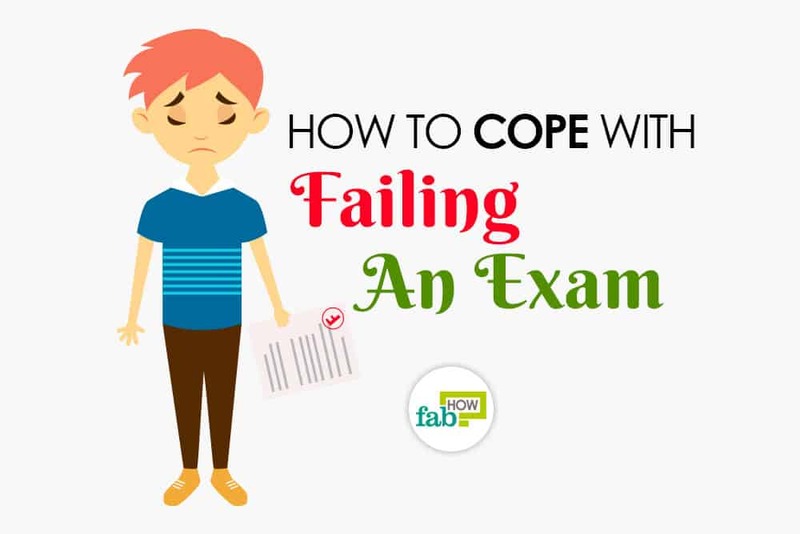 Continue this remedy for 1 week. 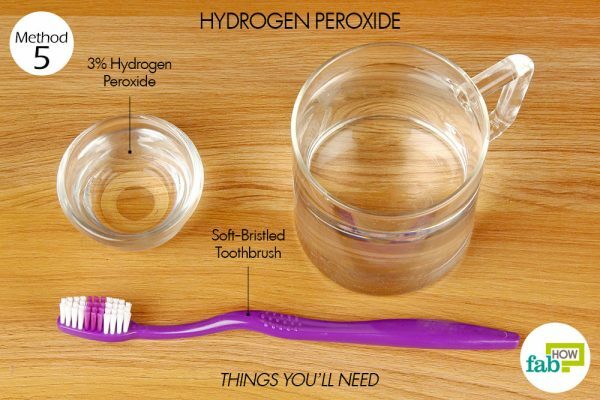 Hydrogen peroxide is a powerful disinfectant and can be used to kill any bacteria that might be causing a white coating on your tongue. As a bonus, it has bleaching properties that will help whiten your teeth, too. Remember, for oral use, use 3% hydrogen peroxide only. Use this remedy once every day to get rid of a white-coated tongue in 1 week. You can also dip your toothbrush in the diluted hydrogen peroxide and brush your teeth with it. Just be sure to clean the toothbrush after scraping your tongue and before brushing your teeth. Drink 2 to 3 cups of green tea every day to eliminate oral bacteria. It will also help keep your weight in check and is loaded with numerous other health benefits. You can also take garlic supplements after consultation with your doctor. Garlic has an active compound called allicin that is antifungal and keeps oral fungal infections in check. Include probiotic yogurt in your diet to help prevent and treat oral thrush.